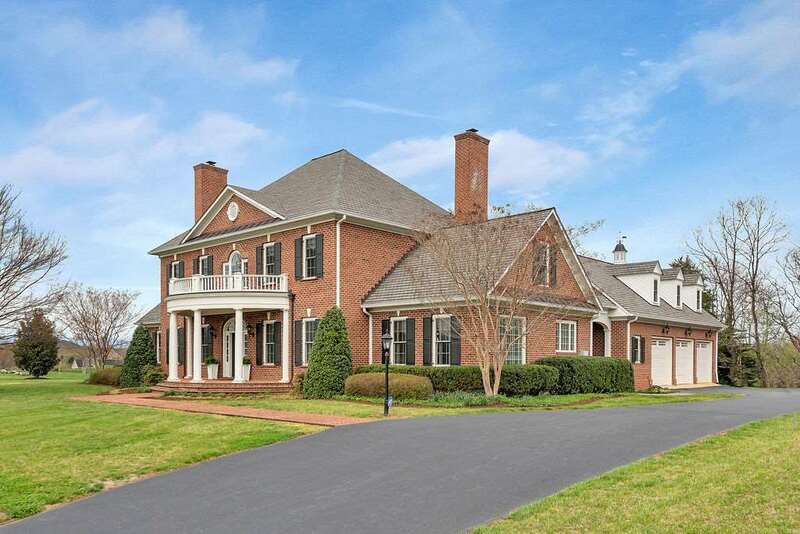 This distinguished Baird Snyder-constructed, all brick Georgian offers Blue Ridge views in a coveted, close-in, Western Albemarle location minutes from schools, conveniences, UVA & the vibrant downtown area. Understated yet sophisticated interior design selections include stone, tile & paint colors that are all light, bright & in step with today's design aesthetic. The screen porch off the family room & 1st floor master suite overlook a private garden & expansive, level side lawn. Additional features include a walnut paneled office or library, formal & informal half baths, hardwood floors throughout, full, unfinished basement w/ bathroom & 3rd fireplace rough-ins, 3 car garage. Murray Elementary School. Under 10 mins. to everything.